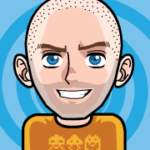 This topic contains 5 replies, has 1 voice, and was last updated by Deryk 6 days, 22 hours ago. some weapon or relic to give them even more advantage in this war. up with others when you get there, so share the assignment as you see fit. 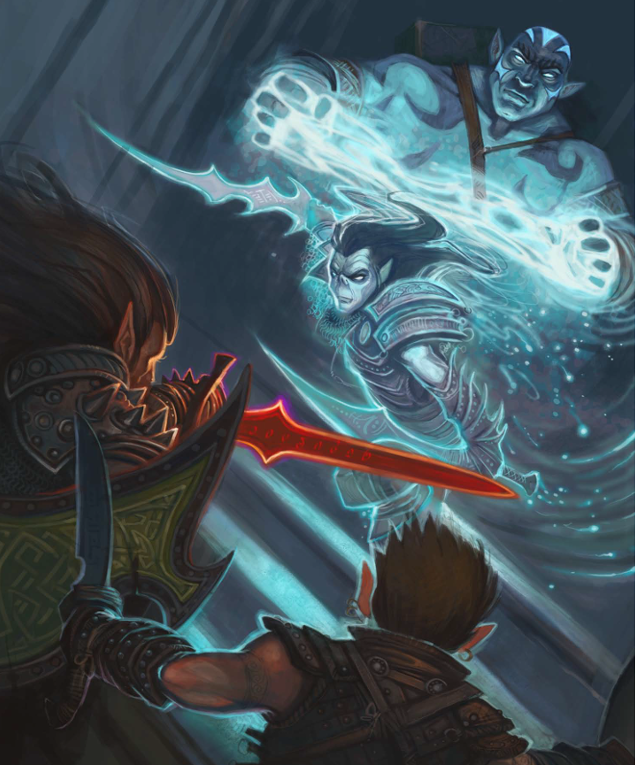 We must find out what kind of presence the githyanki have in the northlands. After preparing for travel, you make your way to Thiradith to help investigate the Githyanki presence. Travel is uneventful, and you are welcomed at the gates by the captain of the outpost, Birkeni, a veteran half-elf fighter. You discover that the Freeriders have also answered the call, and arrived at the outpost earlier that same day. 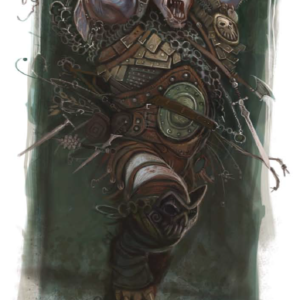 At Dinner, Birkeni tells you that a recent patrol found several dead Githyanki, but that they were forced to flee back to the outpost before investigating because they saw they were being shadowed by other Githyanki, still very much alive. The next day you and the Freeriders set out to investigate. You eventually manage to climb up to the entrance to a cavern with Githyanki Guards. They don’t put up much of a fight, and you discover that they hadn’t gotten around to marking all the astral vents. You find a room filled with the corpses of Githyanki priests. Through clever application of rituals you determine that they were killed by an invading force of other Githyanki, which are currently occupying this temple. You enter another room filled with destroyed statues that glow with a magical energy. Further application of rituals allows you to understand the voices coming from the room below. 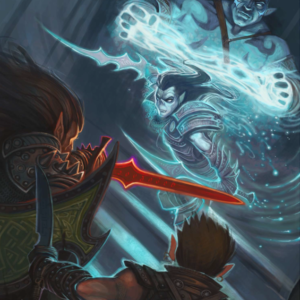 Your eavsedropping is interrupted by three translucent Githyanki warriors who rise up from the rubble. The spectral forms of the temple’s former defenders rise up to attack you, due to their general crankiness at anyone who happens by. The sounds of the party doing no damage attracts the attention of the Githyanki invaders below and they join the fray. They expected to be coming to the aid of their allies from the entrance, but are more than happy to try and kill you instead. Locked in combat for centuries, the party eventually prevails. After checking out a ransacked prayer room, you happen upon a pair of fomorians using intimidate to convince some githyanki prisoners to reveal their secrets. Glowing pillars of astral energy keep things interesting as you work to defeat the big ugly fey. You notice that both the fomorian Painbringers are sporting glowing magical symbols on their wrists – a sword wrapped in an outline of white flame. It appears that the prisoners have freed themselves, but are interested in having a conversation. The party engages in an illuminating conversation with the former prisoners, in which you begin to understand the goings on here… if not the doings. The Githyanki attacking the temple are followers of Zetch’r’r the False, who has plans for the powerful gateway that exists in this temple. The former prisoners are spoiling for a fight and you can barely hold them back from charging into the next room – The Portal Hall. Once you kick down the doors and start kicking in faces, Megan Swift and the Freeriders come in from the opposite side. Relieved that you do not have to explore both halves of this temple, you activate operation “Pinchers of Hell” and clear out the remaining riff-raff from the temple. Oh, also there’s a big glowing sphere of power in the middle of the room. Combat Advantage is home to our D&D adventuring group. The accounts within are fictitious and any resemblance to true events is unintentional. No living creatures were harmed during these adventures. Beware, this site is protected by a horde of flying weasels. Real life photos are copyrighted and may not be used for personal or commercial endeavors without the express written consent of admin@combatadvantage.net. All rights are reserved.